Cash flow is the single largest value driver for most businesses. Think of ways to improve your income on a sustainable basis. Buyers are suspicious of short term jumps in cash flow. Try to make the cash flow as consistent and predictable as possible. Within this section we find the only weakness in the Cape Town Luxury Villas SWOT analysis. The Cape Town Luxury Villas cash flow was not consistent month to month. This is mainly attributed to two big bookings worth over R100,000 converted in January and August, and sizable individual bookings over R50,000 converted in April and November. These bookings have created the four peaks we see in the 2015 management accounts. Management burn out, as the two-woman management team did their own hospitality and were exhausted after their biggest New Year holiday to date. Some of Feb 2015 bookings may have been placed in the Jan 2015 section of the ‘budget master’ (the system used to create management accounts). One should expect to see figures closer to the Cape Villas.com 2015 management accounts. The Cape Villas management have now taken over Cape Town Luxury Villas and have said that the enquiries from Cape Town Luxury Villas are equal to or superior to those from Cape Villas, and it is as easy to conclude deals on Cape Town Luxury Villas as it is on Cape Villas. Cape Villas’ figures show strength throughout most of the year and the weaker month is the beginning of the South African winter. Note: The way agencies make money has changed over the last few years, due to villas directly marketing on systems such as Razor, HomeAway and AirBnb. It used to be the case that October to December was the most lucrative months. However now at this period there is limited availability of stock. Due to this, now one sees every month up to October as potential cash cow, if one converts bookings for the lucrative New Year’s let, which is typically 14 nights at double price. In Nick Ray Ball’s experience with Cape Villas the industry has changed considerably over the years, from 2005 to 2007 the most lucrative month was October, then in 2008 it shifted to November and 2009 it was December, with all summer months faring better than winter. To improve cash flow in general and to make it more predictable, the managers of Cape Town Luxury Villas should push for exclusive rental mandates. Hundreds of owner’s addresses are in the database, ripe for the picking. In addition, Villa Secrets is creating an automatic email system that contacts all the villa owners and property managers on the database asking for availability. This system will greatly increase the amount of properties that are available in the run up to New Year. Keep in mind that buyers buy a business that they hope will be functional and growing after the sale. 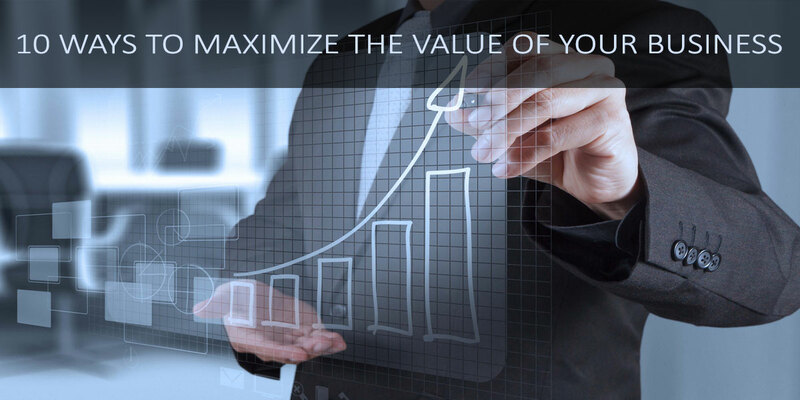 It is tough for the buyer to place a high value on your business if you are the sole decision maker in the company and the business depends largely on your skill set. Developing your staff so that they can run the business when you are gone can pay big dividends when it is time to sell. If you are concerned about your employees leaving once you are gone, it may be good idea to consider employment contracts, stock grants and other incentives that give them a reason to stay long term. If possible, start work on staff related issues at least a year before you plan on starting the sales process. Cape Town Luxury Villas scores well on this point, as it was created as an international franchise, designed to be run by a team in a different continent from the founder. The previous team received enquiries, looked for suitable villas from the database and rented them. Simple. This is exactly what the BFA (British Franchise Association) looks for in a franchise, a business that will perform as well without the founder’s influence. It is a business that requires no oversight and makes instant profit. This point has now been proven twice, as the second team who took over on the 18th Jan 2016 made R100,000 turnover in the first 13 days, double the average monthly turnover of the previous team. What works well as a franchise, works well as a business for sale, in terms on Management Depth, their simply is no management depth or staff to worry about, the business can be operated by a small team or couple and make profit from word go. There is some training needed in terms of the CMS of the website, but that will be provided by a series of training videos. As for experience in the industry, on four separate occasions in Cape Villas, new staff members with no experience have taken sales positions and quickly started recording bookings. In most cases it’s simply a case of matching the enquiry to the villas available and closing the sale. Experience is useful for finding villas when none are available from traditional courses. However this experience will be no math to the new ‘Magic Availability’ email software currently in the development queue which will automatically contact all possibilities from the database. In addition, the option to stay attached to the Villa Secrets network is available which will grant access to Cape Town Luxury Villas for all new villas and updated records created by the network. Dedicated staff will be hired to increase the size and accuracy of the property portfolio. In some cases, creating opportunities to rent villas that are only available as a part of the network. Buyers are nervous about businesses where a high percentage of business comes from a handful of customers. Ideally, no single customer should contribute to more than 10% of your revenues or profits. The best solution for this problem is to diversify the customer base. If that is not feasible, be prepared to accept part of the transaction price paid as earn-outs or plan on supporting the buyer in an advisory role to ensure customer continuity. On the whole Cape Town Luxury Villas has good customer diversity. One client did account for 13% of turnover, and another 8%. There were two clients that accounted for 3% each. However, this is the way of the business. Every now and again one gains a ‘mega enquiry.’ But mostly turnover is created by a diverse client base. Buyers love predictable and low risk revenue streams. Any long term contracts, regular service/licensing fees, and other recurring revenue streams make business more desirable and fetch a higher price in the marketplace. In service oriented business, converting predictable customer support calls into recurring revenue stream can turn a business liability into an asset. In terms of recurring revenue streams Cape Town Luxury Villas relies firstly on Google AdWords, which unlike Google Organic Search AdWords has seen little or no change in its parameters since 2005. Google AdWords has been the staple diet of Cape Villas since 2002. There have been other revenue streams that came and went, in particular in 2007 to 2010 50% of Cape Villas business was to travel agents, but when the Razor system and HomeAway became popular, most of that business was gone. Thankfully Google AdWords has been consistently delivering a good foundation of turnover since its conception. In comparison to the Cape Villas AdWords campaign the Cape Town Luxury Villas campaign is superior, in that it delivers more for less. Plus, it is future proofed, as it has matured. As after about 18 months it was correctly analysed and the ‘quality score’ for most adds increased from 7 or 8 out of 10 to 9 or 10 out of ten. In which would make any new competitors campaign cost about 20% to 30% more to advertise on the same keyword. Cape Town is genuinely the most expensive location in the world to advertise the keyword ‘villa’ and yet the Cape Town Luxury Villas AdWords campaign only costs 15% of turnover. This is due to various tricks known only to Nick Ray Ball. If other companies knew how to do it, they would. There are many subtle pieces to the AdWords puzzle that if not known waste money. The CTLV AdWords campaign is the perfect recurring revenue steam. That in the days of technology effecting online travel agents market significantly. AdWords becomes the only bedrock of stability. It is how Google makes money. They have not changed it in a decade and they are not likely to change it any time soon. This is due to the software ‘Magic Keywords’ that is found within the Cape Town Luxury Villas CMS. If one were to look at the ‘Analytics Video’ one would see that every single page (over 500) of the Cape Town Luxury Villas website is not only indexed by Google but has been shown on Google search over the last three months. In addition to this over 120 different pages were shown on Google Organic search and were looked at by clients. Currently we are adding to the SEO power of Cape Town Luxury Villas and we strongly believe we will be able to double free organic traffic over the next 6 months. As so far there has been no local or link based SEO. We are working on Local SEO, links and fresh content. We have created a beautiful blog http://www.cape-town-luxury-villas.com/blog and we are in the process of rewriting the duplicate content. Soon we will start to apply to be guest bloggers on luxury travel blogs with high domain authority and from them send links back to Cape Town Luxury Villas. In addition, we will be making a link from the CapeVillas.com homepage to Cape Town Luxury Villas. Lastly, in terms of long term contracts, there is the opportunity to create such contracts in the form of acquiring villa mandates. This point is presented in ‘Strategic Growth Plan for Cape Town Luxury Villas.’ This point was the most profitable revenue stream within the original 2014 Cape Town Luxury Villas business plan. However, despite over 1000 villa owner’s contacts, the previous team did not peruse mandates. If they had, we would have expected to see shareholder profit 30% to 60% higher. Buyers place higher value on a business with unique products, services, or distribution systems than a business whose offerings are considered generic. What is unique about your business? Think of ways in which your product/service is unique and why it should be valuable to a buyer. Having an edge and having the ability to communicate the edge can do wonders to your business’s valuation. The software systems currently within Cape Town Luxury Villas are unique and puts money in the bank. The ‘Magic Menus’ systems currently in development is totally unique, and will improve Cape Town Luxury Villas profitability, displaying more and better villas and further improving SEO. Once Magic Menus is complete, we start the development of the ‘Divergent CRM’ which includes: Enquiries Systems + CRM + Email Marketing + Clients & Owners CMS + Booking Systems + Financial System + Marketing Platform + Content Marketing + Analytics + Sienna-bot + Hospitality + Live Chat + Experience Africa Safari Systems + Financial Predictions + Tutorials and the Tutorial Game. The above software will take between two and three years to make, however many useful functions will be ready in 2016. Both Magic Menus and the Divergent CRM are available as additional extras at an additional cost. It is strongly advised that any buyer of Cape Town Luxury Villas purchase these options. Also unique to any villa website in Cape Town is ‘Magic Mobile’ a completely different website created for mobile in the world’s most stable mobile format ‘JQuerryMobile.’ One can see this in mid development by looking for Villa Secrets.com on a mobile phone. Cape Town Luxury Villas received 1280 visitors from mobile in 2015. But due to a poor mobile experience this only equated to 2.8% of enquiries. A good mobile system will increase enquiries, and improve customer experience in general. In time it will lead to higher SEO ranking and it offers the opportunity to advertise on mobile. No Cape Town villa agency has anything like this, indeed there are but a handful of villa rental companies in the world that have a dedicated mobile site/app. (Note the distinction between app and site, we have built ‘Magic Mobile’ to function and appear like an app, but it is actually a web page, which means clients to not need to install the app). In current terms, in addition to the Magic keywords software, Cape Town Luxury Villas is unique in the size of their property portfolios. Their portfolio incorporates 950 villas from the Cape Villas database, 400 villas from the Razor Database and 150 from the current bespoke database. It is the largest database of Cape Town Villas. Unique as well, via affiliation to Villa Secrets, Cape Town Luxury Villas is the only Cape Town agency to be a member of a major travel authority, ASTA the American Society of Travel Agents. In addition, it is a member of the PRS, a UK government lettings ombudsman service. These affiliations make clients feel assured that they are safe and regulated. A significant way to improve is to recruit property mandates. In the last 12 months 3 substantial properties have approached Cape Town Luxury Villas, a great many more properties on the database would be interested in a joint Cape Town Luxury Villas and Villa Secrets mandate. (Details on the exact specifications of the mandate are currently being researched). Lastly if a sale is made, we will be creating a 24/7 live chat team, that covers Villa Secrets network companies and also creates many blogs. If one wished to contribute to one staff member’s salary, one can receive the benefits of 24/7 live chat and about two to three new blogs a week. Plus use of the photographs taken by the dedicated Villa Secrets Cape Town photographer. With so much competition all around you, why is your business difficult to copy? Why will the buyer have as much success with the business as you have had? Is it because of intellectual property (patents, copyrights), regulation (permits, zoning), difficult to get contracts (you are one of the two or three qualified vendors at each of your major accounts), or something else? Having good answers to these questions indicates that there are barriers to entering your business. These barriers make your businesses more valuable than your competitor’s with similar cash flow. Why is your business difficult to copy? Cape Town Luxury Villas is difficult to copy due to its software framework and its future applications. Cape Town Luxury Villas is not a traditional villa rental business, like its predecessor CapeVillas.com. It is first a website and marketing platform from which a small team with competent sales skills could create an income. Cape Town Luxury Villas is the prototype not only for Villa Secrets but for American Butterfly, a highly evolved theory of a software framework that can adapt to any industry. The aspects that make Cape Town Luxury Villas unique are many and are presented in this series of videos: Asset Value of the Cape Town Luxury Villas Website and Supporting Systems. In addition, Cape Town Luxury Villas is hard to copy as it has an expert Google AdWords account that has matured, making it just about unbeatable. Why will the buyer have as much success with the business as you have had? The business has been designed to give the power of a large travel agency into the hands of a small team, who are more motivated due to business owners putting in more effort that staff would. The website provides good enquiries and has great stock. So long as there is someone in the team competent at sales, the business will succeed. We have tested this model with two different teams, and it has worked, straight away, twice. You believe you are about to come up with a compelling new product or make major inroads into a premier customer. You expect these developments will double your business next year and do not want your company to be undervalued based on current financials. Delaying the sale has other consequences that make it unattractive for you to wait. So, what do you do? A good forecast backed up by management presentations with examples on why the company would achieve the forecasts is extremely powerful. Having a good understanding of your product/sales pipeline and having the ability to communicate it with your Business Broker can help structure a deal where part of the sales price can be paid in earn-out to capture some of the upside. Usually if a company or individual was due to come up with a compelling new product they would not be selling their business. That would not make sense, or it would indicate a lack of confidence about the new product. However as Villa Secrets is building products that are designed for a large global network of villa rental companies, travel companies and real estate agencies, and the sale of Cape Town Luxury Villas would use cash flow to fund our software development and content marketing platform it makes a lot of sense to sell, if the right price was achieved. Over the next two to three years the following updates are due for development. All of which will increase the profitability of the Villa Secrets network website. The above videos represent the next two years of development for Villa Secrets, and in addition are many other advances within the Villa Secrets & American Butterfly business plans. Villa Secrets intends to make a big splash on the world stage, but Villa Secrets will not rent a villa or create any mandates. Villa Secrets is solely created to improve the agencies within the network. Being the only villa company within that network that received the benefits but did not have to pay a franchisee fee would create an extremely profitable business. As one could spend the saving on additional marketing and so be more competitive than any other franchise. This value driver involves stability and consistency. Name recognition, customer awareness, history, ongoing operations, and reputation are all part of business goodwill and influence value. Even if the company does not have many hard assets, relationships are key. The fact that customers have been with the company for a period of time does matter. Brand recognition, service or product reliability, and high customer satisfaction are distinguishing factors that add value. This driver of goodwill should not be overlooked in a valuation because it helps mitigate perceived risk. The first booking made by the new Cape Villas team (started 18th Jan 2016) was from a previous client. In addition, a ‘mega booking’ (value over R100,000) in ongoing with a client that enquired last year. And since then a number of repeat clients have enquired. However, goodwill within the Cape Town villa industry will only get one so far, most clients who come to Cape Town do so only once ‘A chance to see Africa’ and then the next year another popular location. Far from ignoring repeat business we have had the idea to send gifts to previous guests on their birthdays since 2008 when we all stuck post it notes on a whiteboard at hospitality and branding day camp. This idea is now coming closer to becoming a reality as it’s a part of the Divergent CRM. We feel this gift service will lure clients back, or at least make them talk about us to friends. This said, Cape Villas has good return clients going to Cape Town since 2002. But all the goodwill in the world did not make up for the new bookings created from Google. As Cape Town Luxury Villas in only its second year made greater income and nearly as much turnover. Mostly from new cleints. They say it’s ten times cheaper to keep a customer than find a new one, and if one sells b2b business products or runs a pub or local store, this is probably true. As there is no ‘exceptional’ travel involved, but when it comes to villa rental holidays, in Cape Town, new business is more frequent that recurring trade. Not that it should be ignored, repeat business is important and Cape Town Luxury Villas has 500 contacts in its database that should be contacted and nurtured back to Cape Town. This database of enquiries is ripe for exploitations. Cherry pick the ones with large budgets and write to them personally and use MailChimp to email the rest newsletters and blogs. Goodwill can also be found with local agencies and international travel companies, as Cape Town Luxury Villas has the largest property database available. Companies with smaller portfolios or companies that rely on the Razor/MyBookingPal database of properties contact Cape Town Luxury Villas when they can’t find the properties from their own portfolios. This should be nurtured. In 2016 there are big opportunities. As the once all powerful Razor system, that 95% of Cape Town agencies rely on for availability for most of their bookings, is faltering. Agents who rely on this database will be very open to Cape Town Luxury Villas on a commission sharing basis. A written strategic growth plan that clearly documents the areas the company can grow can be an asset to buyer. Length of the document is not as important as the content. A well written 2 or 3-page growth plan is sufficient. To many buyers, high quality book keeping reduces risk and also says a lot about how the business was run. Having a set of clean, easily auditable books inspires confidence and helps during the due diligence and negotiation process. The management accounts for Cape Town Luxury Villas have been created in such a way as they can be placed (uploaded) within the finical pages of the ‘Divergent CRM.’ They were so well presented in Excel that, the accountants Williams&Co UK, took just a few hours of adjustment to prepare for the UK Tax return. The management accounts are initially created from a spreadsheet called ‘The Budget Master’ which records booking details, income, owner payments and turnover. From the ‘Budget Master’ management accounts are created. The previous management team paid Villa Secrets 25% of turnover on each booking, a total of £19,300 (Note Dec 2015 is created on money owed from bookings made, not money received in the bank). £19,300 is 25% of turnover. This multiplied by 4 gives 100%: £77,203. This actual figure £74,330 which made the Villa Secrets cost 26.9%. This was due to some bookings that were paid for but were not recorded on the budget master. 3. Actual booking bank statements between client and owner. We currently do not have these. However we are relatively confident we can compel them, albeit we need legal advice. 4. We can provide management accounts and bank statements for the new team that started on 18th Jan 2016. In additional, it should be noted that we are confident in Cape Town Luxury Villas and will consider seller finance over three years. And to end up, we point out that Nick Ray Ball who creates the management accounts is more than happy to take a polygraph in regards to the integrity of the financials and all other aspects of Cape Town Luxury Villas. Including the asset value of Cape Town Luxury Villas website software framework and supporting systems which are valued for replacement at R2,900,000. See Asset Value of Cape Town Luxury Villas and Supporting Systems.